Research on gender inequality and discrimination in the veterinary profession has found compelling evidence that discrimination against women exists, and is most commonly perpetuated by those who believe that women do not face discrimination. Researchers at the University of Exeter, working with the British Veterinary Association (BVA), surveyed about 260 UK-based employers, partners, and managers. In the study, designed by Dr Chris Begeny and Professor Michelle Ryan, respondents were asked to review a performance evaluation of a vet. Everyone in the study was shown the same performance evaluation, one with a male vet, the other with a female vet. Half of the respondents were randomly assigned to review a version in which the vet’s name was “Mark.” The other half reviewed a version in which the vet’s name was “Elizabeth.” All the information about the vet – the quality and breadth of their skills, their level of knowledge, etc – was identical, except for their gender. most strongly endorsed this belief showed the strongest pay disparity. 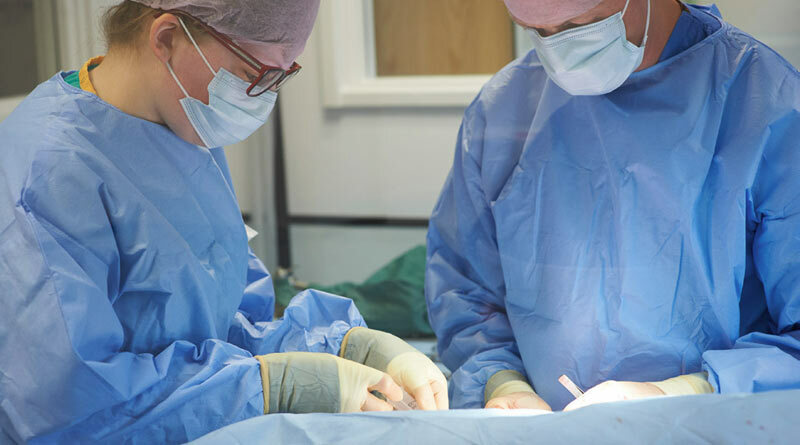 “The results of this study are disappointing but possibly not surprising for many of us – they clearly show that gender inequality and discrimination in the veterinary profession is still present, albeit sometimes subtle,” said British Veterinary Association President Simon Doherty. The study was the second piece of research on workforce issues conducted as part of the Vet Futures project to explore confidence, motivation levels and retention within the profession. A survey by the same researchers of 1250 vets found that only 61% were satisfied with their job, and 37% were actively thinking about leaving the profession. Female vets report lower career ambition, lower confidence, as having less career potential, and higher burnout. (eg, in their abilities, likelihood of reaching their full potential in their career) and a stronger sense of career ambition. Female vets were less likely than male vets to be sought out by colleagues for guidance, advice, and opinions. Half the respondents agreed that they had a good work-life balance, but when comparing women and men who are statistically matched in terms of their age, role in the profession, years of experience, it was found that men are more likely to experience a better work-life balance than women. Some 21% of respondents to the survey reported that they were unable to cope with the stress, with those who reported experiencing gender discrimination at work feeling more stress and burnout. although female vets agreed with this statement to a greater degree than men. On average, male vets reported working five hours more than female vets in a typical work week (49 vs. 44 hours). When asked about their current work hours, both male and female vets indicated that they were working “about what is expected” of them. Male vets were significantly more likely than female vets to endorse the long work hours culture. That is, they were significantly more likely to agree with statements such as “people who work long hours are likely to be more ambitious” and that “expectations to work long hours are entirely reasonable”. The report indicated that women’s lesser endorsement of a long work hours culture, along with their greater likelihood of having experienced gender-based discrimination in the workplace, was associated with an increased desire to leave the veterinary profession. “Stress, burnout, lack of career progression… all leading to the ‘leaky bucket’ of colleagues leaving the profession and leaving behind a recruitment crisis,” said BVA Officer Gudrun Ravetz.